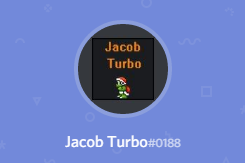 General discussion about Super Mario Bros. X. Did you ever wanted to actually use new items in SMBX, without just replacing the already known ones? With this setup package you can make use of a lot of new blocks, tiles, paths, levels, and more, granted you use the PGE-editor to build your levels for SMBX. This is because this pack makes use of the dummied items in SMBX. But since SMBX has no control array-elements for them, we just use PGE to place them. In SMBX itself they work just fine, but you cannot utilize any of the new stuff in the editor of SMBX! Please note that this pack contains GIF-files and not PNG-files. 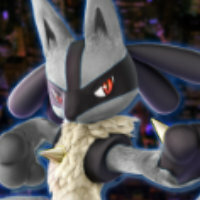 It seems that any luna.lua-induced version of SMBX cannot handle this pack right, because the lua code that makes SMBX reading PNG-files needs to be adjusted right for this. When SMBX 2.0 is out, I will look deeper into all this. I am very sorry for the inconvenience. 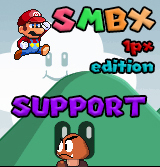 1) Download the SMBXpanded setup pack right below. 2) Extract the pack with winRAR or winzip. 3) Take all the files in the "SMBX GFX-files"-folder, and place them into the respective folders in your SMBX "graphics"-folders. NOTE: Some of the existing graphics will be replaced - this is to fix some graphical errors that are present in SMBX (especially the SMB3 wooden slopes in 1.3.0.1). All the other graphics will be placed alongside the old stuff. 4) Take the folder named "SMBXpanded config" and place it inside the "Configs"-folder of your PGE. 5) Start your PGE. Then go to "Configuration" and choose "Change configuration". Select the "SMBXpanded"-configuration and follow the instructions of PGE. Everything should be working now. 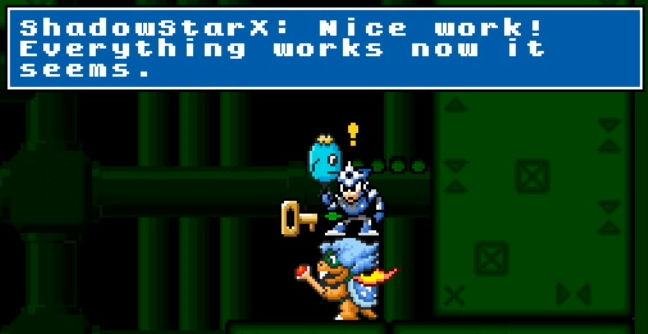 If so, then you may choose from a lot of new items in PGE for our SMBX. They work exactly like the already existing items of SMBX, which means that you can replace their GFX just like you do with the already existing ones. In PGE you can search the new items under the category "SMBXpanded". Also, there is a test level in the package that you can play in SMBX to see if you have set everything up right. Once you have setup your SMBX with this pack, you can use custom-GFX for the new stuff in the same fashion you do it with the old items. What does this setup pack add to your SMBX? NOTE: Only use the PGE-editor to place the new items (in PGE they are lableled under the category "SMBXpanded"). Never use the editor of SMBX to edit the new items, or SMBX will crash. In game all the items will work just fine. Last edited by Sednaiur on Sun Jul 10, 2016 7:09 am, edited 4 times in total. So wait, are you just using the dummy blocks/bgos/whatever...? snoruntpyro wrote: So wait, are you just using the dummy blocks/bgos/whatever...? Woah this is a nice expansion! Thank you now I can use more vanilla stuff. You can also add more blocks/BGOs/NPCs, and set properties to each in a configure pack, without being restricted to dummies. The bad part is that levels made using added elements from a configure pack can mess up its compatibility. "Going to University is FUN!" I'm gonna download this once I finished planning some of my levels. Flair: Nuclear Queen of Reversion. This all looks nice, and I hope Wohlstand sees this.I was kind of hoping when I updated PGE, that I would get this, but either way, thank you. I did not expect you to add more vanilla graphics to the engine either. To bad that rivers do not have the triple corners to the borders, but either way, looks nice. Only if SMB3 Cloud could fit in the new graphics of this. List of Animés I have watched. Great use of unused SMBX items! I am glad you made this. I am using it in my project, so you will be credited for it. Great job! nostalgia is a beautiful thing, isn't it? Flair: Is this where I type my password? This is sweet! I hope this is added to 2.0 (if that is actually ever finished) - it will make it an even bigger update! I'm on Soundcloud | My graphics pack! HenryRichard wrote: This is sweet! I hope this is added to 2.0 (if that is actually ever finished) - it will make it an even bigger update! I do as well so we can use it in contests. Camacho wrote: Woah this is a nice expansion! Thank you now I can use more vanilla stuff. This is what I liked to accomplish. At least a "Vanilla contest" could be with less cutoff now. I did not expect you to add more vanilla graphics to the engine either. To bad that rivers do not have the triple corners to the borders, but either way, looks nice. 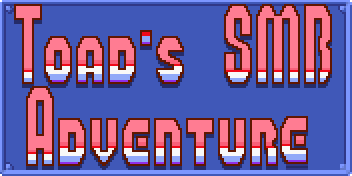 Only if SMB3 Cloud could fit in the new graphics of this. h2643 wrote: Great use of unused SMBX items! Thank you. ^^ Hopefully they will come to a good use in the future. For some reason I highly doubt it get's added, even though, in my opinion you are right. Even many of the people that dislike SMBX 2.0 could be happy, because it also comes with new blocks, tiles etc. First, thanks for your works. I downloaded your graphic pack and I just noticed a bug with a block, the one used to be placed for making a big pipe, block-643. It doesn't fit the grid, being too big of 2 pixels in its height. Removing them fix the problem. You did a nice job! I'll take this config pack officialy, but I think, I'll design it like "SMBX Integration" (because some my inconvenient things to sync my frequently updating parts of all my config packs, therefore when I'll plug new lua-script or will change a lot of parameters, result will work incorrectly in PGE Engine on outdated config pack), but configure tool will do coping a new images instead of dummy-filling of SMBX's folder. But some trivia: Because different element sets with nested by type INI-files it's hard to sync frequently updating fragments between all config packs, supported by me officially (when I modifying main config pack and then I running a script to apply changes to all other config packs, but some names are replacing by "sed" tool [to convert Mario specific names into Talkhaus]. That easy, but when huge tails are completely different,that a bit harder. Anyway, until I'll implement splited INI-files [instead of one fat nested INI-file will be a tiny INI-file with count of elements and folder whith ini files one per every NPC. That allows easier syncronizing between config packs to don't hurt bottom NPC's which are VERY different in different config packs]). Same will be with SMBX 1.4 config pack. I'll publish both config packs in WohlSoft site when next version of PGE Editor will be released (I need to apply some changes and fix some things until I'll release PGE Editor 0.3.1.11). Download fresh experimental builds HERE! FYI this will not work with 2.0. I would advise people not to use this for now. Dummy block slots and Dummy NPCs are being used to make new player switch blocks and new NPCs (Magikoopa, boo laser, boo cloud, etc). As these are not simply graphics replacements (which is all SMBXpanded is), we cannot currently sacrifice our (rather substantial) work to accommodate this current pack. 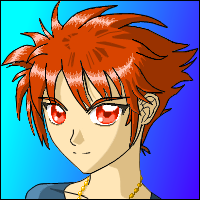 However, I'd like to work with you to potentially get your content working with 2.0 once we expand some of the arrays. At that point we can begin to integrate content of yours that is worth keeping. And it seems there's plenty of that. Please get in touch with me when the next beta is released so we can discuss. Can you put a download link to Mediafire or Dropbox? Because I can't download from the site. It blocks the download. I was able to download it, but I can't unzip it. You even added vanilla graphics to fill the new slots? Well, knowing how you are, I can't really say I'm surprised. I'm pretty happy about this. I can spruce up my world map a bit, since it was a little bland in some spots, but I was out of GFX slots, so there was nothing I could do about it. I tried to use the extra tiles for custom tiles but when I placed them on PGE it worked. But, when I opened the level in the engine, it gives me an error. Catastrophe wrote: I tried to use the extra tiles for custom tiles but when I placed them on PGE it worked. But, when I opened the level in the engine, it gives me an error. Note: it contains a JS-coded configure tool. That means, latest PGE Editor will automatically launch configure tools for non-configured config packs. This configure tool will optionally ask you to patch your actual SMBX folder with new graphics. But you can launch that later from "Configuration -> run configure tool" menu.